Former Criminal Minds showrunner Ed Bernero takes charge of diamond-focused drama Ice as it heads into its second season. He tells DQ why he is stepping out of his comfort zone and leading a series set in a world rarely seen on television. 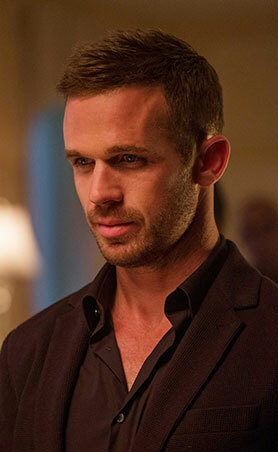 When US drama Ice ended its first season, the story teetered on the edge of a classic cliffhanger – the main characters all together and the sound of single gunshot. In fact, fans of the show – set in the world of the LA diamond business – were also left on a knife-edge, as they didn’t know if the show would be returning for a second season. Confirmation finally came in mid-June, four months after the credits last rolled, as telecoms giant AT&T announced Ed Bernero as the new showrunner for the series, which airs on its Audience Network. The first season of Ice, produced and distributed by Entertainment One (eOne), launched in November 2016 with director Antoine Fuqua and writer Robert Munic as exec producers. Nine different directors helmed the 10-episode run. A television industry veteran, Bernero comes on board having led shows including Criminal Minds, Third Watch and European crime drama Crossing Lines. He says the appeal of joining Ice heading into its second season, which is due to air in 2018, lay in its tackling of unchartered territory:“I get sent a lot of things to do and it’s not often where I see something where the cast interests me and it’s a world I don’t think has been explored that much on television. As a former cop, it’s no surprise Bernero’s credits haven’t strayed far from the crime genre, and he admits the structure associated with procedural story-of-the-week series “is just the way I’ve always thought.” He doesn’t mind being known as “the cop guy,” but says it’s refreshing that he can now try something new. “It’s just a little hard to get Hollywood to try something else – it’s kind of like being typecast as an actor,” he says. “Not that I’m complaining about it. Believe me, there are worse things to be than the cop guy in Hollywood. Season one introduced the family-owned Green & Green Diamonds firm, operating in the underbelly of the LA diamond trade. 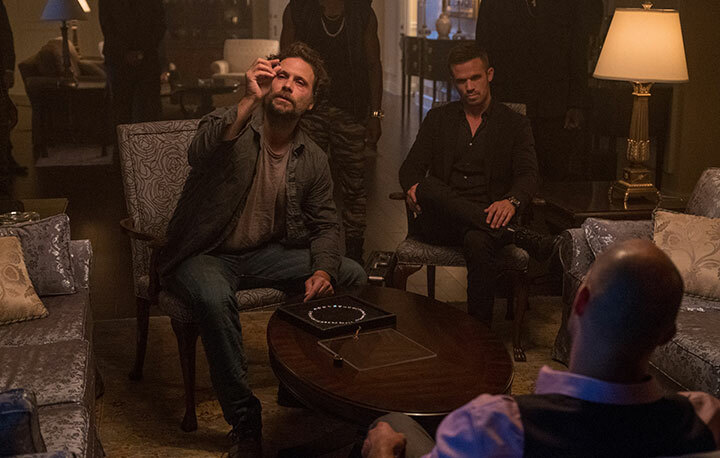 This season sees new wars waged between half-brothers Jake (Cam Gigandet) and Freddy (Jeremy Sisto), Cam (Ray Winstone) and Lady Rah (Judith Shekoni) in a bid to claim control of the glittering world of diamond trading. The downtime between the end of season one and the confirmation of season two meant a lot of the crew had moved on to other projects, such is the demand for workers in Vancouver, where Ice is filmed. That meant Bernero had to rebuild the production team, though the cast remains largely intact from season one. 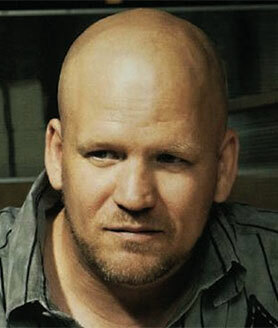 It also presented the new showrunner with the unique challenge of making a “first-season show in its second season.” He explains: “The storylines are new and it’s a completely new creative team behind the camera. The cast has actually been really helpful – we sat down and talked about their characters and they’re welcome in the writing room as much as they want to be. We just talked about what they established as their characters. Bernero and his team also spent time learning about the world of diamond trading, with diamond experts hired as consultants on the series. Meanwhile, Vancouver doubled for LA, London and Venezuela for the first episodes in the globetrotting second season, while production moves to South Africa for the final five episodes as several characters head to a diamond conference. Beyond Ice, AT&T’s Audience Network has been building up a slate of original series including MMA drama Kingdom and polyamorous romcom You Me Her. This summer it drew particular acclaim for its Stephen King adaptation Mr Mercedes, while political thriller Condor is on the way. “AT&T is no different to a lot of new outlets, in that they want something that makes noise,” Bernero says of the DirectTV-owned platform. “They just want something different. They don’t want it to be a show that could be on CBS or on ABC. Despite its glamorous setting, Ice is a family drama at its heart, notes Bernero, who believes audiences respond most to a family dynamic whatever form that may take. “For me, every TV show has to have a family at its centre,” he says, whether it’s an actual family or a group that can be identified as one, such as the cops who work together on Criminal Minds. Bernero’s move to a serialised drama may be further proof that procedurals have had their day in the US, despite continuing demand from overseas broadcasters and a slight uptick in the number of new story-of-the-week series launching across the big five broadcast networks this fall. But the showrunner believes the trend for serialised stories, promoted by SVoD platforms, will eventually subside as networks revert to the types of shows that will bring in the most profit. “People still need something to do on Tuesday night,” he says. “My family all live in the Midwest and they don’t stream everything or binge-watch. There are still a lot of people who watch TV the traditional way and I don’t think that will ever go away.